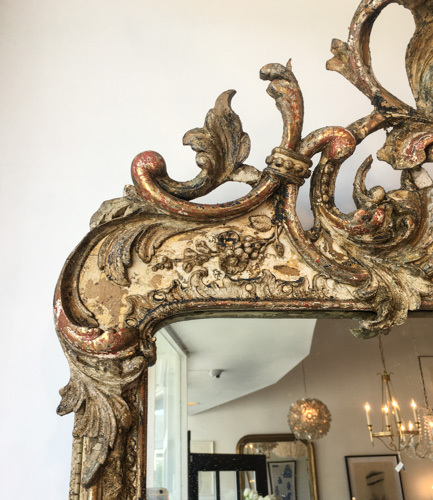 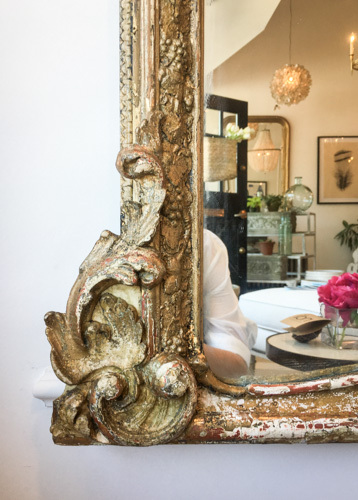 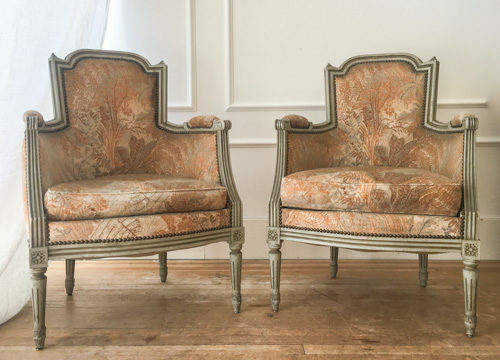 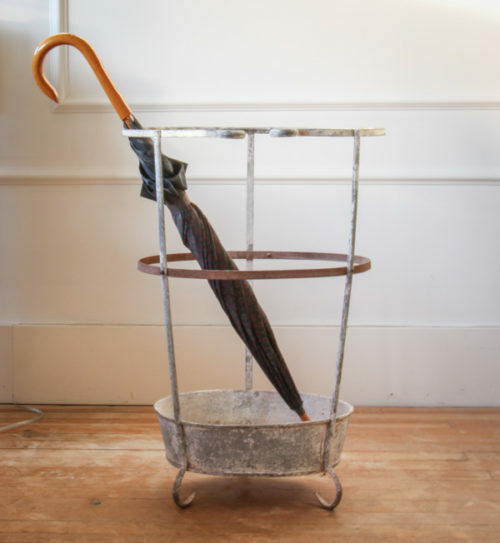 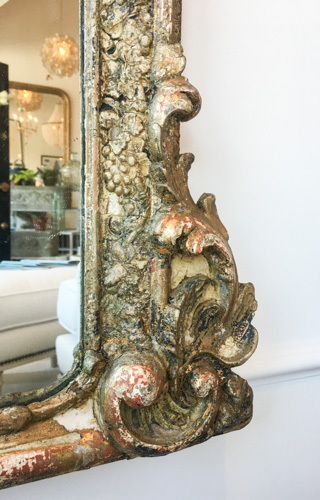 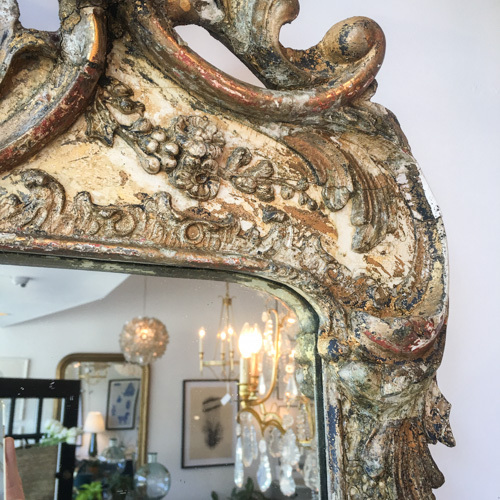 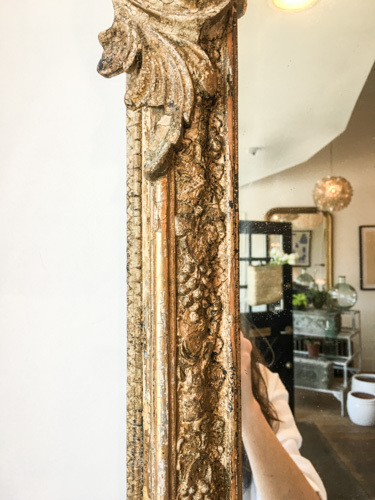 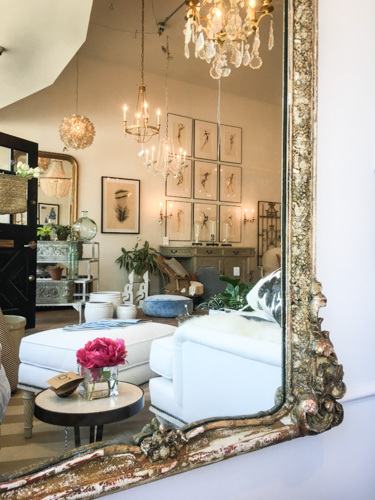 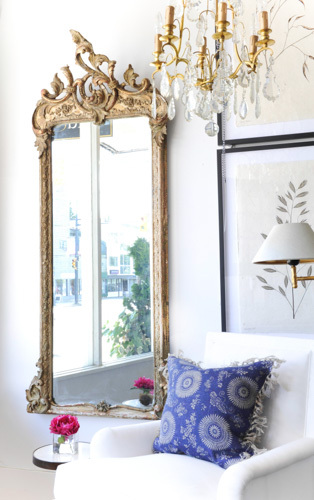 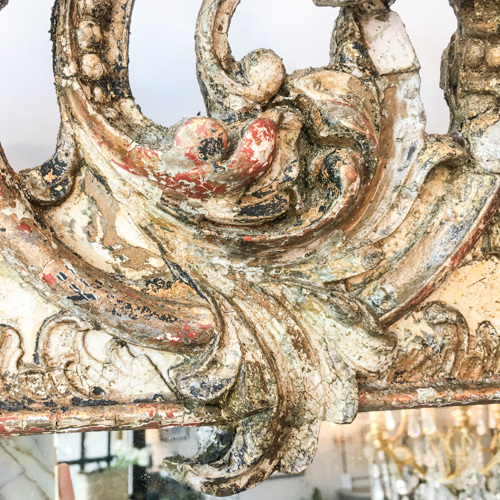 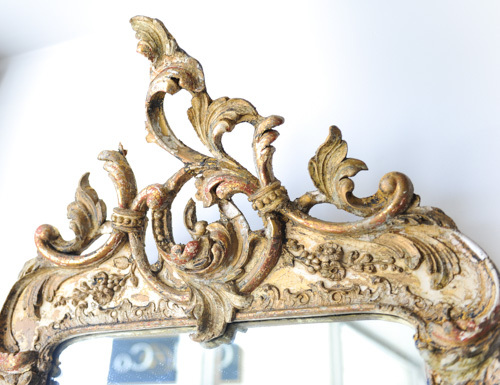 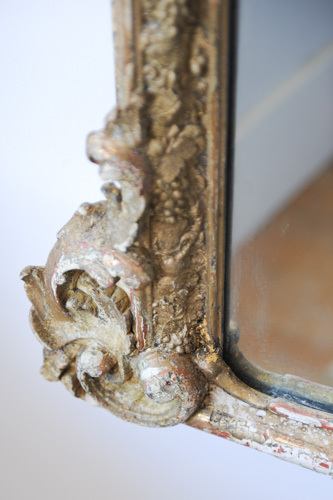 Antique French Mirror – Gild and Co.
French 19th Century (1800s) antique mirror. 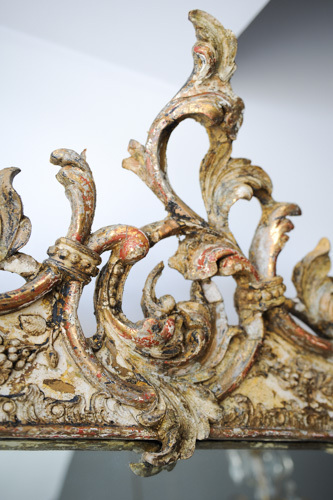 Exceptional carved crown: 12″ from wall. 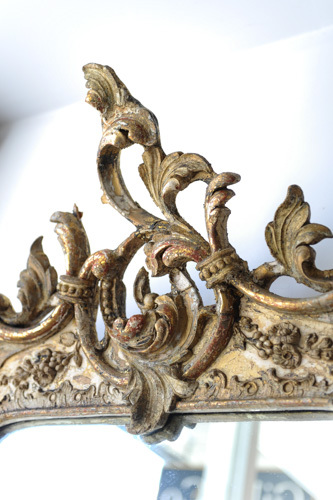 Entire frame is carved with vine (gesso) details.